By James H, March 26, 2018 in Tools, Books & Misc. If you’ve never heard of the DSPIAE and their excellent but small (at the moment) range of modelling tools, then you really should acquaint yourself with them. In recent months, we have taken a look at their Stepless Adjustment Circle Cutter, Single Blade Nipper 2.0 and Craft Tools Rack , and I now use these regularly over other tools that I’ve been using for years. As with the previous DSPIAE tool, this new one I look at today has been sent to me by those kind folks at Breveco Modelling in The Netherlands (hi Evert and Corien!). This time, DSPIAE has chosen to focus its innovation onto a new hand drill set. I have several pin-vices in my tool armoury, some far better than others, so I was looking forward to seeing how this new release fared. The first thing that you notice with this particular brand of tool is the heavy, bomb-proof and amazingly high-quality packaging with some quite bizarre but original artwork. The inspiration must’ve been something Inca or Aztec. It’s certainly very eye-catching. On the side of the box is a code to certify the tool is a genuine DSPIAE product. To open the box, you push the side of the package to reveal a product tray within. A red insert welcomes you to your purchase with a nice THANK YOU! Lifting this insert out and opening it up reveals a set of instructions for the drill, but I doubt you’ll actually need them! There is also a spare Allen/hex key for tightening up your chosen drill but in the hand drill pin-vice. At this point you may ask why this isn’t a twist and lock affair, and I can’t answer that. Only DSPIAE must have the reasoning for that. It’s certainly the first pin-vice I have with such a lock method. Lifting out the insert reveals the rather elegant tool, plus a set of tungsten steel drill bits in their own lockable plastic case. Lastly, a small hex screwdriver for locking the aforementioned drill bits into the pin-vice. The shape of the pin-vice is also unique. I was a little sceptical as to how it would feel in the hand, with its fluted appearance, but was pleasantly surprised that it was actually very comfortable. You will note the black plastic stop on the top of the tool, that sits in the palm of your hand. This is fixed to the aluminium body by means of a bearing, so it rotates easily and prevents those blisters that can result from hours of repetitive drilling work. The finish of the tool is also excellent, with red anodising and the DSPIAE name. Now, when it comes to attaching the drill bit, it’s quite simple. Your chosen bit plugs into the end and the small grub screw is used to tighten and lock it into place. As I’ve said, this is quite an unusual approach where the twist and lock method is usually the one we see. This set comes with a nifty pack of tungsten steel drill bits in a clear plastic case. Be careful opening this or you’ll scatter the drill bits, and some of these are very small. There are a total of 10 drill bits, ranging from 0.3 to 1.2mm, in 0.1mm increments. I do find that these are a little stronger than some other materials used for micro-drill bits, but care will still need to be exercised. One thing of note here is that the shank of these drill bits is common to other sets on the market, meaning you can still use the sets that you may currently have. This is a simple but high-quality tool. If you already have a pin-vice, it might be hard to justify another, but this would be a good tool to use as a primary. If you are in the market for one, and wanted a small set of drill bits too, then again, this is a very good option. The quality of DSPIAE tools is beyond doubt, and I’m becoming a bit of a junkie for their range, which is expanding nicely. 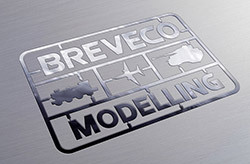 Check them out at Breveco Modelling. My sincere thanks to Breveco Modelling for the review sample seen here. To purchase directly, click THIS link. Broke two drills yesterday. Time to get myself some quality like this! Looks like a well balanced tool for the tiny holes, sometimes needed while modelling. Wouldn't have minded the addition of a 0,2 mm drill, because yesterday I needed one and had only a 0,3 mm. I will definetely get me one, because the use of an electric micro drill under 0,5 mm is risky business.